The facility is centrally located on Terminal Avenue near Main Street with ample customer parking, green rooftop areas and spectacular city views. Designed to be energy efficient, the building’s exterior features a large curved aluminum facade with extensive use of glass and high performance metallic finishes. The interior styling offers a restrained colour scheme featuring a high quality selection of materials. The overall result is a spectacular new Vancouver landmark that will serve as the city’s new hub for Porsche enthusiasts. Porsche Centre Vancouver is Vancouver’s only certified Porsche dealership and service centre. Founded in 1999 at 1718 West 3rd Avenue, the Dilawri Group assumed ownership of the dealership in 2010. Porsche Centre Vancouver is a parts partner of AutoMind Collision. 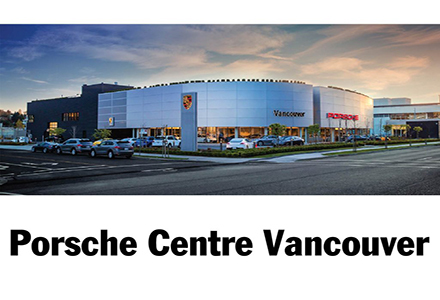 Click to find out more about Porsche Centre Vancouver. AutoMind Vancouver is proud to be a Porsche Certified Collision Centre. Click to find out more about Porsche Certified Collision Centre.